NYC Health & Hospitals CEO Dr. Ram Raju. It’s been a harrowing few weeks for NYC Health & Hospitals. The system has faced scrutiny from unions, politicians and the New York Post, which featured an anonymous tell-all from a former Coney Island Hospital doctor who said careless nurses and physicians had put pediatric patients in danger. Now NYC Health’s CEO, Dr. Ram Raju, hopes to restore public confidence in the hospital by installing new leadership. Anthony Rajkumar will take the reins as Coney Island’s new CEO and Mei Kong has been named chief operating officer. 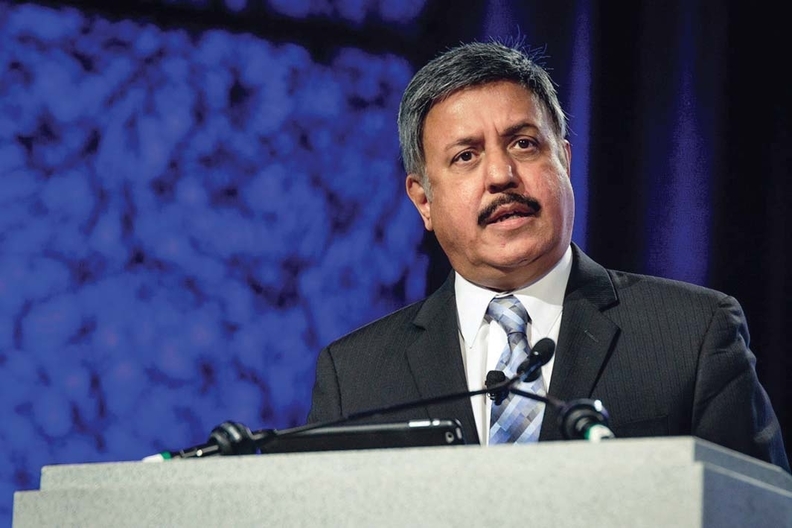 Rajkumar, who will leave his current post as executive director of Manhattan’s Metropolitan Hospital Center, has spent more than 25 years with the health network in two separate stints. Kong was formerly the assistant vice president responsible for patient and employee safety for the 11-hospital system. “I want patient experience to be the centerpiece of this organization. We are selecting people who will give that particular aspect. If the patients are not engaged, the outcomes are not good,” Raju said in an interview last week. He added that recent leadership changes at Coney Island, including the departure of several executives, were not triggered by the negative publicity about patient safety. He said the system has changed leadership at its Woodhull, Harlem, Queens, Elmhurst and North Central Bronx hospitals within the past few months, all with little fanfare. Regardless of its reshuffled leadership, NYC Health & Hospitals faces serious financial hurdles. About 70% of its patients are covered by Medicaid or are uninsured, and declining government subsidies have translated into lower reimbursement for the network. The system also faces growing competition from private hospitals for newly insured patients.